Chrichton's World: Review: Star Wars: Episode IV - A New Hope (1977) : After so many years still manages to get to me. If that is not a sign it's a classic then I don't know what is. 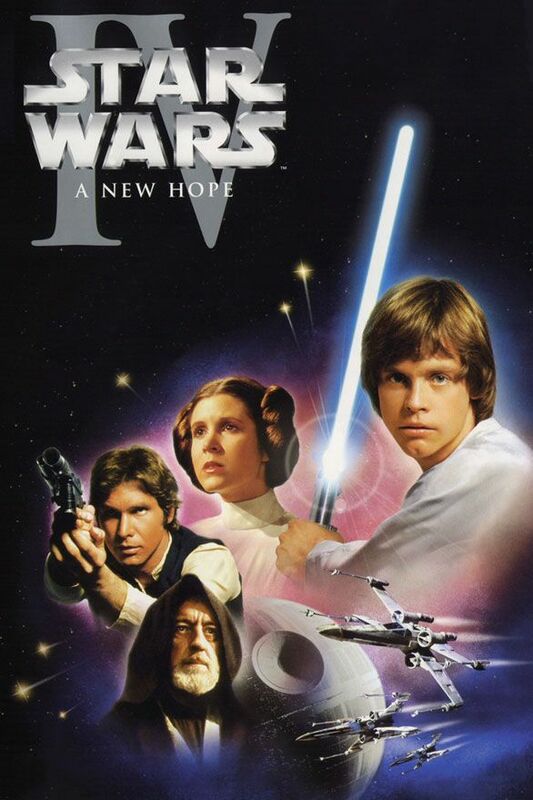 Review: Star Wars: Episode IV - A New Hope (1977) : After so many years still manages to get to me. If that is not a sign it's a classic then I don't know what is. Long time ago in city not far from here I watched Star Wars for the first time. Back then after watching I did not know what hit me. The film had a profound effect on me. So much so I felt compelled to watch Star Wars: Episode V - The Empire Strikes Back (1980) and Star Wars: Episode VI - Return of the Jedi (1983) right after in one sitting. I was a little late with watching these classics but I sure was very willing to catch up. Out of the blue I felt like watching the original again and almost every classic scene resonated with me. Almost? Well, yes I have to be honest and say that some parts especially at the beginning are a little slow. Never to an extent that it becomes tedious or frustrating. However I realize that the slow start is what builds up the events. You get to know the characters well and what is at stake. The story might be simple but it's constructed in a way that gives weight to events and what is happening to them. It intensifies the action and makes A New Hope quite thrilling especially at the end. Star Wars: The Force Awakens (2015) never does this. It throws you into events without build-up or time to get to know the characters. You are told what you need to know and accept. Not once are you allowed to form thoughts since you move from one event to another in lightning speed. In A New Hope you get to learn who Luke Skywalker is and what he is about. He desperately wants to leave Tatooine to sign up for the Imperial academy but respects his uncle's wishes to stay one longer to help him out. He was very much in his right to get angry but stays calm and doesn't defy his uncle. This tells you that he is full of ambition but also loves his family very much and doesn't want to hurt them. Luke is a good man. But when confronted with the opportunity to actually go on the adventures he is seeking he is afraid. Every normal person would react like that. Especially someone who has not travelled much. It's perfectly natural for someone to be hesitant when forced to move out of their comfort zone. What about the acting? To be fair that is one of the elements that could have been improved on. However since most of the main cast were young and inexperienced that was to be expected. But despite this they did manage to make the dynamics between them believable. Luke is not very trusting of Han and vice versa. Still after the events they have experienced they know they can depend on each other. Prince Leia and Han Solo might seem like they don't like each other but they are obviously attracted to each other and have immensely good chemistry. Even when the dialogue between them is a little goofy. It was far more sincere and convincing that the dynamics between them in The Force Awakens. Speaking of dynamics. What would Star Wars be without R2-D2 and C-3PO? While they might be droids and sort of glorified slaves they are very much integral to the events. It's R2-D2 who starts up events for Luke and the others and C-3PO gets caught in the middle of it all. They are like an old married couple. A lot of banter and arguing between them but when in danger or separated they can rely on each other. R2-D2 might only make noises but get a pretty good idea of what he is saying. He has a lot of personality for a machine made of electronic parts. A New Hope might not take their time to let the characters grief but at least I felt more connected emotionally than I did with anything or anyone in The Force Awakens. So how some people think that The Force Awakens is better than A New Hope is beyond me. Most probably are too ignorant to realize that The Force Awakens is a blatant copy of A New Hope without any of the elements that make it so good in the first place. A New Hope has a lot of momentum in certain scenes where the cinematography and music make it clear to you what is at stake. The visuals mean something. The music means something. Example: The sequence where the rebels are attempting to destroy the Death Star. If this had been Rey and co the job would have been accomplished in a few seconds with lots of explosions, lens flares and shaky cam shots. Because Rey can do no wrong and is super skilled and powerful. Luke on the other hand of who is said is a skilled fighter hasn't actually flown a X-Wing before and certainly not in the middle of a battle has he has zero battle experience. When several groups of experienced fighters do their attack runs they are met with a lot of resistance. Some of them are capable of deflecting or avoiding that but some don't and die. To make matters worse Darth Vader joins in who is very effective in killing the rebels. At this point Luke's chances of succeeding are very slim. You actually feel for a moment that there is no hope. Until an event occurs that turns it around. All this time you can follow everything that is going on. The timer that is shown from time to time gives that extra tension to already quite tense situation. J.J. Abrams could not come up with such a scene even if his life depended on it without resorting to his usual tricks. The Force Awakens is just eye candy and very little else. I wonder how many people actually have watched The Force Awakens multiple times and still have the same thoughts and feelings as they did the first time they watched it? Naturally you will have some poor souls who will still deny it but truth is that The Force Awakens doesn't even come close to the epic that is A New Hope. After so many years A New Hope gave me goosebumps at the same exact moments they did the first time. And before I get accused of nostalgia making me blind. Don't insult my intelligence. Nostalgia will only carry you so far. Besides then entire succes of The Force Awakens is due to the high nostalgia factor. The whole film is a rehash of New Hope and has all the elements fans wanted. So please don't even go there. Star Wars: A New Hope is the one that started this epic franchise and should always be regarded as one of the best since it is one of the best!